Chris Detrick | The Salt Lake Tribune The Plaza on State Street Tuesday September 20, 2016. The rusting bones of a famously stunted downtown housing development may soon come tumbling down. Salt Lake City bid $4 million at a Tuesday foreclosure auction to buy back an acre of property at 255 S. State St. — once envisioned as a cultured blend of affordable housing, shops and cafes, and instead marked by vulgar graffiti, wind-blown waste and naked, decaying steel. It’s the second time the city has purchased what was once branded as the “Plaza at State Street.” The first time, the RDA bought up the property in installments for about $3 million before selling to Ben Logue’s Tannach Properties for about $2.7 million — then sold on 180 housing units that included 136 units for low to moderate income levels. After the Regis and Cambridge hotels were razed to make way — ironically, reducing the city’s affordable housing stock by 50 single-room-occupancy units — Logue broke ground to much fanfare in 2012. The expected completion date: Thanksgiving 2013. It was doomed from the start. There were work stoppages as estimated costs ballooned from $33 million to $55 million. Engineers found flaws in the steel structure and unanticipated groundwater levels. Logue’s company was sued over labor and materials provided by a Brazilian steelmaker, then it settled and defaulted on nearly $20 million in loans. On Tuesday, Walz told the City Council (in its capacity as the RDA board) that the city had risked losing its ability to demand affordable housing at 255 S. State St. So it decided to take the unusual step of bidding in a foreclosure sale against private interests — in this case, two: Citibank, which made the opening bid, and a California developer who was not known to The Salt Lake Tribune on Tuesday. Walz said the property was appraised at just under $3.6 million in June 2016, and that interested developers said Citibank had valued it between $4 million and $5 million when shopping it around. Councilman James Rogers countered Tuesday that that the city had “no skin in the game” after its agreement with Logue fell through, and that there was no special need to build affordable housing at 255 S. State St., given other project areas that the RDA has yet to fully capitalize on. 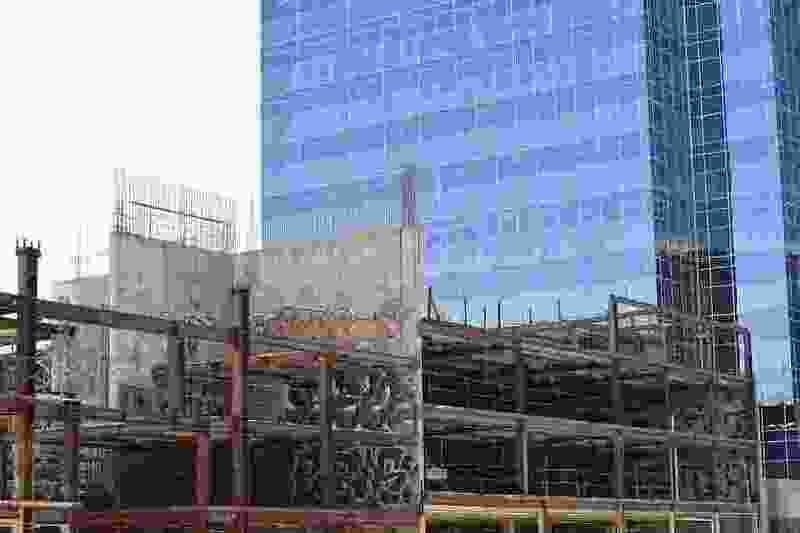 Given its structural deficiencies, Walz said the half-built steel frame likely will need to be demolished at a cost of about $300,000 that was factored into the council’s 4-to-1 vote — with Rogers dissenting — to allocate $4.3 million. The council last year set aside $21 million for affordable housing but found other sources for 255 S. State St.
Walz said interest in the development was immediate: He was approached by prospective developers in the rotunda of the Matheson Courthouse, where the auction was held. “I‘ve already gotten emails,” he added. A five-year housing plan released by the city in February describes a shortage of 7,500 affordable units for residents who make less than $20,000, with rents increasing twice as fast as renters’ wages. More than 30,000 new residents are expected in the city over the next 12 years.